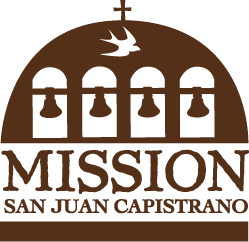 Visit the Mission Clubhouse and receive a Mission Clubhouse ID card! 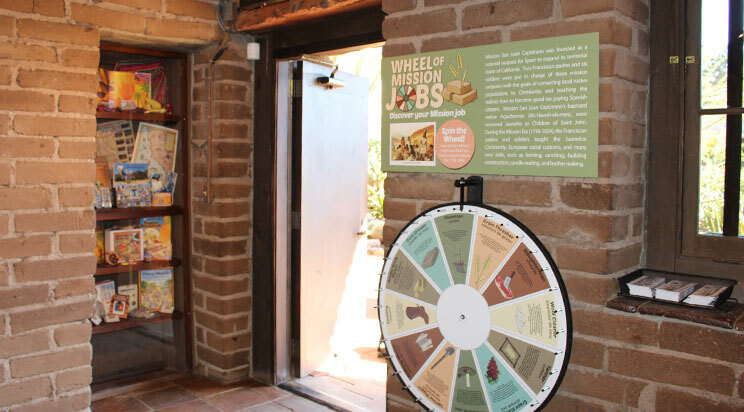 Make sure to spin the wheel of jobs and write down your Mission job. 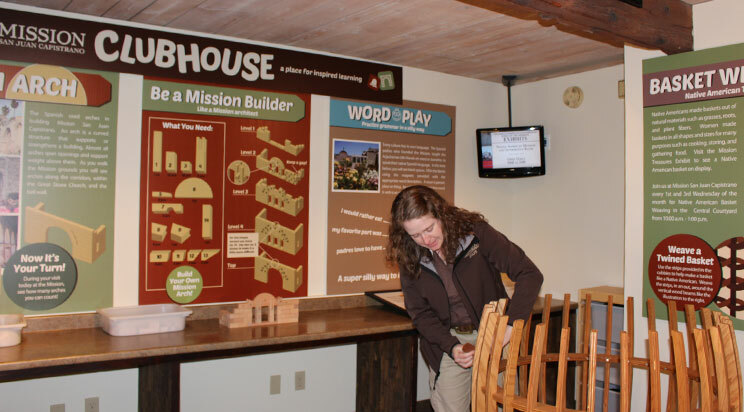 The Mission Clubhouse is a space for kids to learn and participate in hands-on activities such as weaving a Native American basket using a basket model that is as big as a kid! 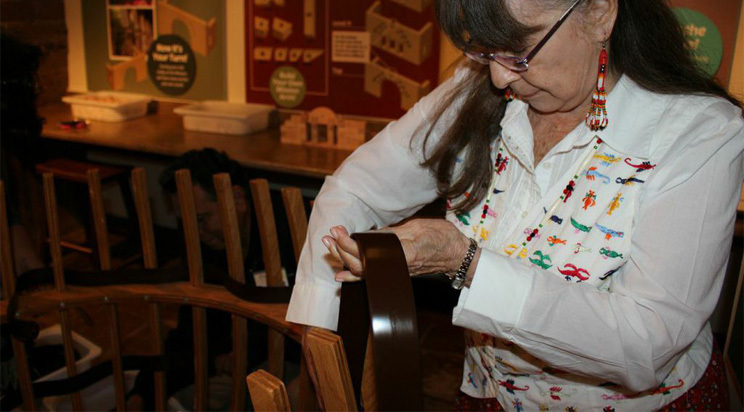 Other hands-on activities include spinning the Wheel of Mission Jobs, where kids will discover their role in the Mission community. Every individual worked or completed chores to help keep the Mission running. Padres and soldiers taught the Acjachemen new jobs like farming, ranching, candle making, leather making and many more jobs. Visitors can also build roman arches with miniature blocks. 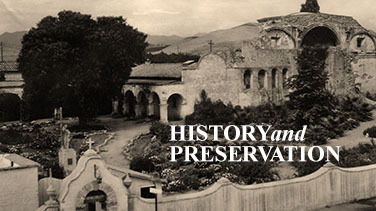 Arches are a main part of Mission history and can be seen along the corridors, within the Great Stone Church, and above the bell wall. 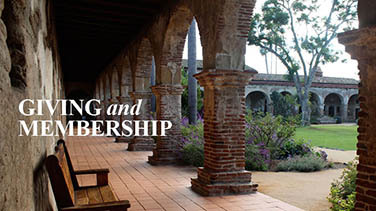 The new Mission San Juan Capistrano Clubhouse is open daily from 9:00 a.m. – 5:00 p.m.